Newly signed AK19 Entertainment artist ROB SHINER has just released his debut music video “Just Paranoid”, featuring BLACKLITE DISTRICT. The follow up to his debut release “Feels Good”, which accumulated more than 250,000 combined streams, “Just Paranoid” drops on all platforms this Friday, April 5. Anthony Vincent of Ten Second Songs has released his newest video, Metallica’s “Enter Sandman” in 20 Styles. His newest auditory kaleidascope rendors the metal classic in the style of such diverse bands as Owl City, John Denver and The Doors as well as exploring genres as varied as lo fi hip hop, Yodeling, and Synthwave. Check out more of Anthony’s videos including “10 Songs in the Style of Metallica,” “12 Songs in the Style of The Nightmare Before Christmas,” “10 Songs in the Style of Ozzy Osbourne (feat. 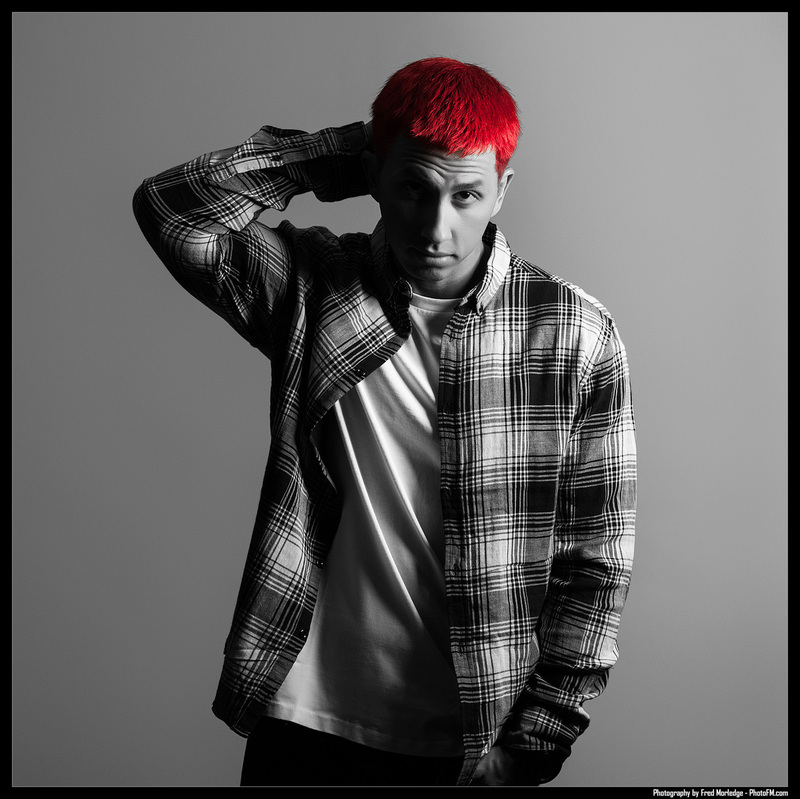 EROCK),” and “Red Hot Chili Peppers – Give It Away (Ten Second Songs 20 Style Cover)“. Trap Rock Band ERA9 has released the official music video for “Black Widow (Tick Tock).” Directed by Jona Dhe Paganon, “Black Widow (Tick Tock)” is off of the band’s Gravity LP. If there was a band in the world that breaks the barriers and labels that genres and the music industry place upon the listener’s and critic’s brains, Era9 takes a wrecking ball and destroys those barriers. They don’t discriminate toward any musical genre, but feel an attraction towards uniting them. New Jersey based Urban Pop Duo Epoch Failure has released their sophomore EP, Warrior’s Hymn, which includes an inspiring cover of the Bon Jovi hit single, “Livin’ On A Prayer“, as well as the immensely well-received tracks “Warrior’s Hymn” and “Legacy” already featured on ESPN’s First Take programming, FOX’s UFC Road To The Octagon, and CBS’s “NFL Championship Chase” draft special. 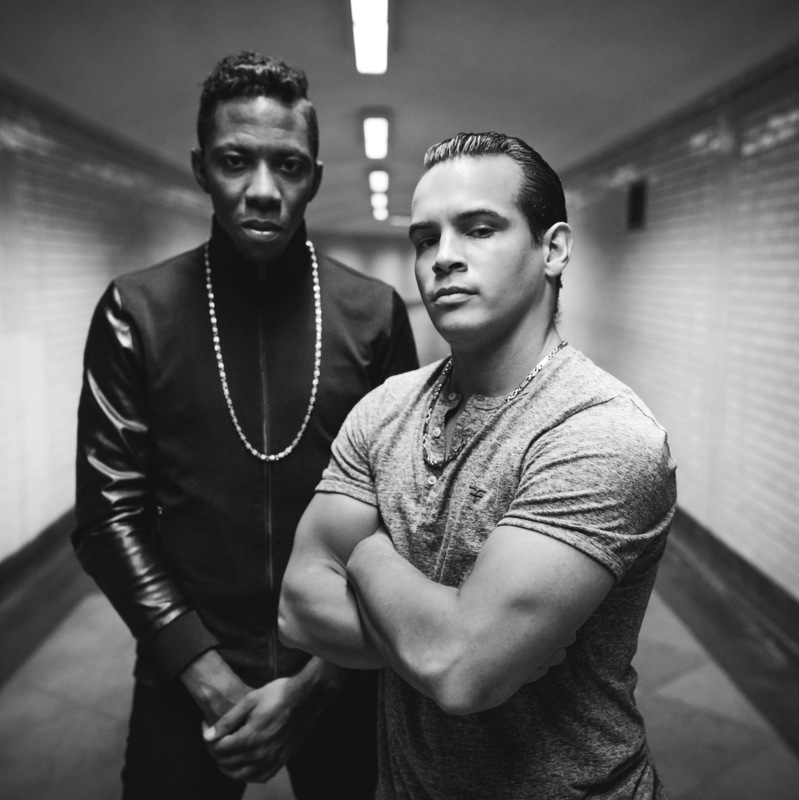 Epoch Failure is a NJ urban pop duo, resulting from the collaborative efforts of singer/producer Billy Joe Marrero and rapper Nick Young. Their music is mixed and co-produced by Grammy-nominated producer Billy Hume (Lil’ Jon, Ying Yang Twins, Pitbull). Epoch Failure’s first single “Champion” remains a breakout sync track in the sports world. Earlier this year, it was played during the post-game celebration of Super Bowl LI at NRG Stadium in Houston. It’s also been featured by The NFL Network, ESPN, Fox Sports, NASCAR, WWE, NBC Sports, NY Knicks, NY Giants, Denver Broncos and the Australian Football League. In addition, FOX Network used the song in their critically acclaimed prime time series, PITCH. Epoch Failure’s new Warrior’s Hymn EP was released on May 26, 2017. The big hooks and commercial sensibilities remain, but this sophomore effort surpasses their 2015 debut in both emotional intensity and lyrical maturity. This is a collection of street anthems celebrating the bold, the broken, and the believers. In much the same spirit as Epoch Failure’s “Champion” single, this upcoming EP is similarly built on a foundation of heart and grit that’s derived from the firsthand struggles these two Jersey natives have endured and overcome. As such, this is more than just an EP. It’s a personal sonic portrait. Las Vegas based Hip Hop Artist EKOH has released the Official Music Video for his newest single, “Daudrie,” off of his Along The Way LP. Directed by Robert Machado in Las Vegas, “Daudrie” was inspired by the critically acclaimed Netflix documentary Audrie & Daisy. Ekoh is unlike anything you have heard before. Branded with the label of HEART HOP by loyal fans who saw something different in his style of music. True emotional lyrics along with hard-hitting delivery, intricate production, and a high energy live show. A song writer who can blur the lines between genres to create a truly amazing music experience. Blending hip hop with alt rock, electronic, and everything in-between, Ekoh has a sound that will appeal to almost any music listener. This unique sound and voice has gained a loyal following and taken the scene by storm. 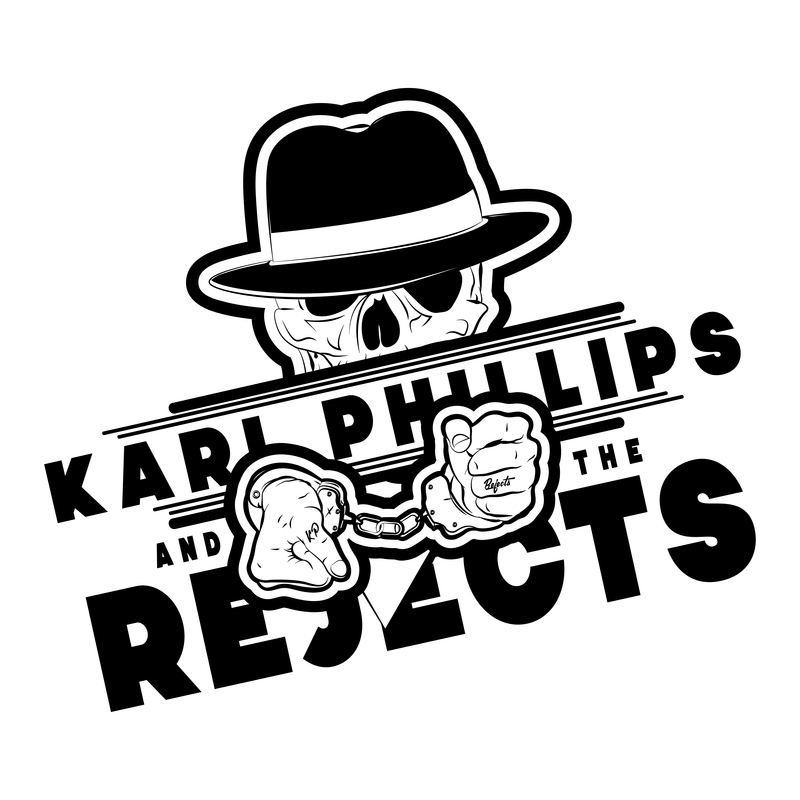 Ska collides with Punk guitar riffs and mad rapping skills on the newest single from Midlands, UK based, 7 piece rock band Karl Phillips And The Rejects, “Plastic Gangsta.” Releasing May 10th with introductory spins on BBC1 Radio, “Plastic Gangsta,” which shows Karl Phillips following a young gangster as he goes about his day posturing and generally making a fool of himself, will be available to download 5/19 via Medical Records. “I’m a fly on the wall in his life, one minute he’s flexing in his bedroom mirror, and I’m like, ‘what are you doing’.” Says Karl of the video. “Next minute, he’s doing gun signs but his mum is shouting him down for dinner. 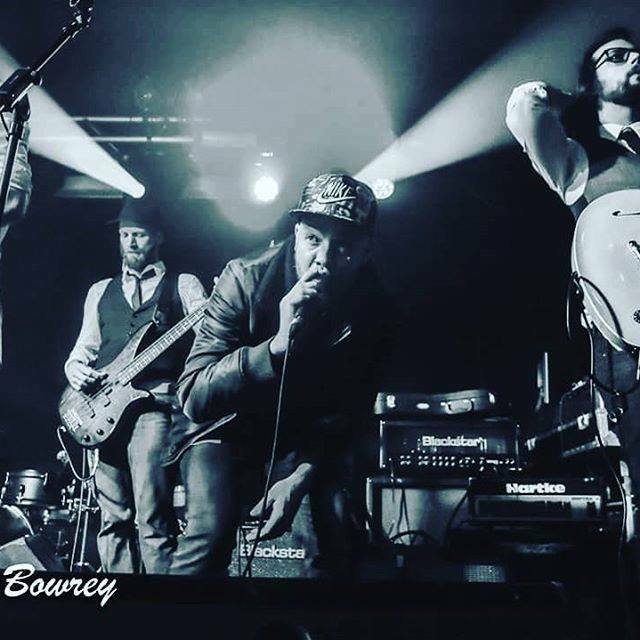 A completely original mashup of ska, punk & grime with a hip-hop nod at luminaries like The Clash, The Specials & Mike Skinner. Karl’s refreshingly honest lyrics test the boundaries of the human mind and the English etiquette, coming from a place most people can relate to but never dared to mention! The last few years has seen Karl support chart topping legends such as Chase & Status, Example and Ella Eyre! To underground hero’s like The King Blues, Gentleman’s Dub Club, The Skints, Dub Pistols, Imperial Leisure, The Neville Staple Band, Dreadzone & Alabama 3! Karl and the band have had radio play on numerous BBC Introducing shows, including BBC 6 Music, with music video’s airing on various television channels. Summers are spent in festival mode spreading the Ska/Rap/Punk vibe from Boomtown Fair, The Secret Garden Party, Strawberry Fair, Blissfields and Beautiful Days to as far as Summer Sound Festival in Latvia! Sharing stages with the likes of Bob Geldof, UB40, Wiley, The Subways, Tinchy Stryder, The Feeling, Skepta and Zane Lowe, meaning Karl and The Rejects have been performing non stop for several years…. and loving every second of it! 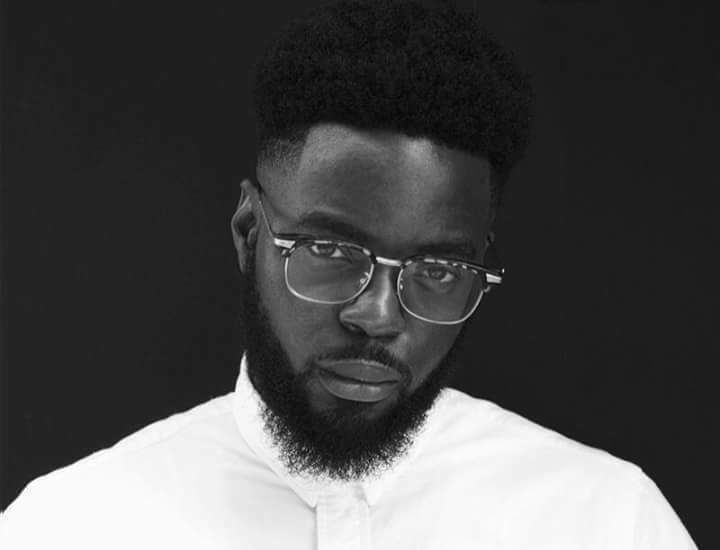 Kanayo King, a Nigerian-American rapper, songwriter, and producer from Atlanta, has just unleashed his newest track to the awaiting masses. The track, entitled “Pot of Gold,” is the follow up to his hit single “Tonight” with both being produced by EMAK. Both tracks will be featured on his forthcoming The Kanayo Complex that will be released later this year. Kanayo King, while relatively new, started his musical career early in life and has been recommended for fans of Fetty Wap, Future, Migos, and Rich Homie Quan already. Kanayo King is a Nigerian-American recording artist, songwriter, and music producer from Atlanta. He started his musical career early in life, writing and producing music throughout the city while gaining a reputation for making catchy, relatable music that gets the club going and captivates the streets. In May of 2016 he firmly burst onto the scene with his single “Tonight” that has acuminated over 35 thousand plays on Soundcloud alone. Kanayo King hopes to use that success to propel his debut album, entitled The Kanayo Complex, that is set to be released later this year. The best in indie music served fresh!